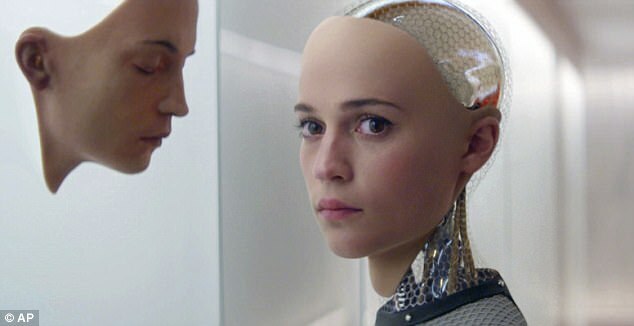 Robots will be 100 times more intelligent than the average human in 30 years, the CEO of tech giant SoftBank has claimed. Billionaire tech mogul Masayoshi Son, 60, said that by 2047 artificial intelligence (AI) will have reached an IQ of 10,000. By comparison, the average human IQ is 100, while anything over 140 is a 'genius' score. Mensa, the 'high IQ society', only accepts members with a score above 130. The concept of artificial intelligence becoming smarter than the human brain is known as the 'singularity'. Exactly when this power-shift will occur has been hotly debated by experts, but Softbank CEO Masayoshi Son said he expects the singularity to happen in the 'next 30 years or so'. 'Singularity is the concept that [mankind's] brain will be surpassed, this is the tipping point, crossing point, that artificial intelligence, computer intelligence surpass [mankind's] brain and that is happening in this century for sure,' he said. 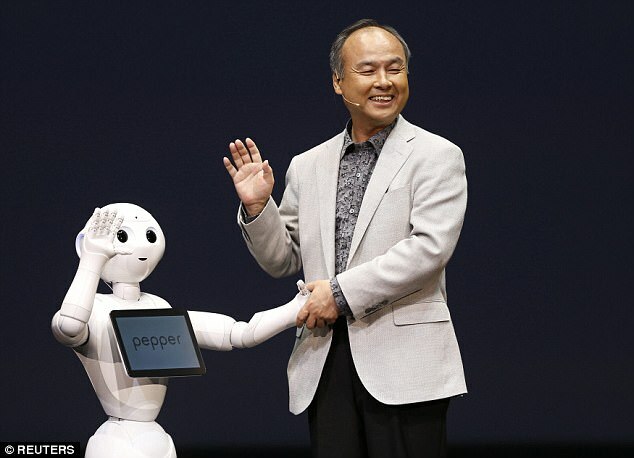 Modern humanoid robots like Softbank's Pepper can now perceive human emotions by reading facial expressions and voice tones, according to the firm's website. But Mr Son said in three decades, people will laugh at the capabilities of today's cyborgs. 'Thirty years from now, they are going to learn by themselves, they are maybe going to laugh at you and us,' he said. Currently, some robots are smarter than humans in a few areas, Son said. 'But 30 years from now, most of the subjects, they will be so much smarter than us, because they are going to be a million times smarter than today,' he said. 'We mankind created tools, the premise was mankind were always smarter than the tool we invented so we control. The 60-year-old is heavily invested in the advancement of AI, as he is in charge of SoftBank's £75 billion ($100 billion) Vision Fund to advance machine learning. Mr Son has said he expects to invest all of the fund within the next five years, all in companies with some link to AI. The concept of machine learning becoming more intelligent than the human brain is known as the 'singularity'. Exactly when this power-shift will occur has been hotly debated by experts, but Mr Son said he expects it to happen in the 'next 30 years or so'. One area where humans will always be better than robots is creativity, Mr Son said. 'If you have to envision, 10 years or 30 years later, at least some humans will have a better imagination than them. So, it's not the end.